HNL developed a core localization technology called the PixieEngine. 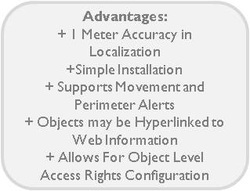 This technology implemented in our own hardware allows accurate localization and monitoring of objects within indoor and outdoor environment. The technology is well suited for tracking moving objects such as bicycles, golf carts or people. Objects can be visualized via Google Maps within a web or Android mobile application environment. Aside from the core localization technology, the PixieEngine can be modified to fit your needs. Whether you need motion detection, an invisible perimeter that sends out alarms or playback of an object’s previous locations, HNL can help you adapt the system to fit your demands.